﻿ Best Price on Casa Naemie in Santo Domingo + Reviews! 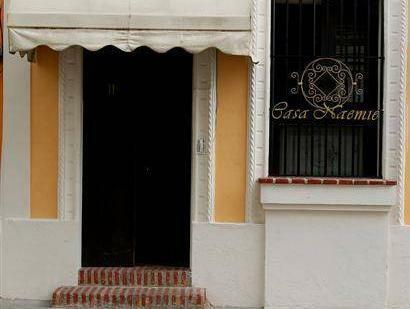 Casa Naemie is in Santo Domingo Este’s historic colonial zone, just 550 yards from Fortaleza Ozama. It features stylish rooms with free Wi-Fi and breakfast, and offers airport shuttle service. All air-conditioned rooms at Casa Naemie have a terrace and come equipped with cable TV, a safe and ironing facilities. Each has a private bathroom with bathtub or shower and toiletries. The hotel is within a 5 minute walk of Calle el Conde, the colonial zone’s main street. Here guests will find plenty of shopping and restaurants. There is a 24-hour front desk desk and currency exchange booth at Casa Naemi. A laundry service and luggage storage are also available. The Port of Santo Domingo is just one mile away and Las Américas International Airport can be reached in about 25 minutes by car.